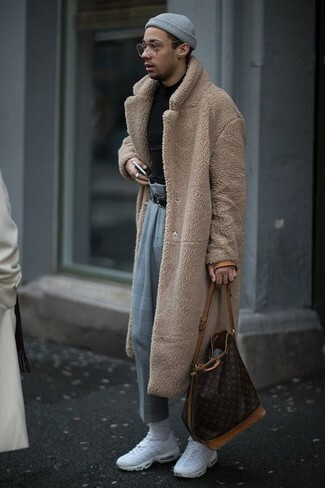 Team a tan fur coat with Rick Owens DRKSHDW logo high socks to be both casual and knockout. When it comes to footwear, this ensemble pairs wonderfully with white athletic shoes. 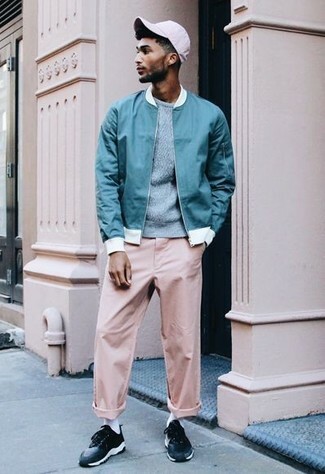 If you're all about relaxed dressing when it comes to your personal style, you'll love this easy combination of an aquamarine bomber jacket and Rick Owens DRKSHDW logo high socks from farfetch.com. Turn your sartorial beast mode on and make black low top sneakers your footwear choice. If you're all about functionality dressing when it comes to fashion, you'll love this on-trend pairing of a grey wool blazer and Rick Owens DRKSHDW logo high socks. Kick up the cool of your look by complementing it with grey leather loafers. Try pairing a black and white horizontal striped crew-neck t-shirt with Rick Owens DRKSHDW logo high socks, if you feel like practicality dressing without looking like a slob. Turn your sartorial beast mode on and go for a pair of grey suede desert boots. 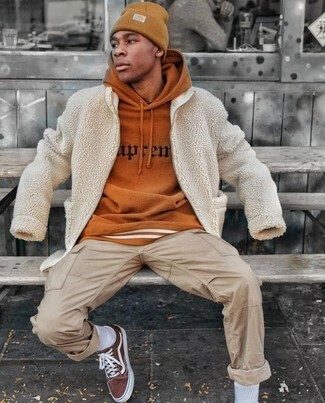 If you're a fan of relaxed dressing when it comes to fashion, you'll love this neat pairing of a beige textured bomber jacket and Rick Owens DRKSHDW logo high socks. Wearing a pair of brown canvas low top sneakers is an easy way to add extra flair to your getup. 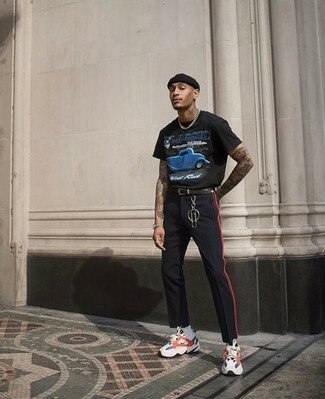 If you're a fan of relaxed dressing when it comes to your personal style, you'll love this stylish pairing of a black print crew-neck t-shirt and Rick Owens DRKSHDW logo high socks. To add elegance to your look, round off with white and red and navy athletic shoes. 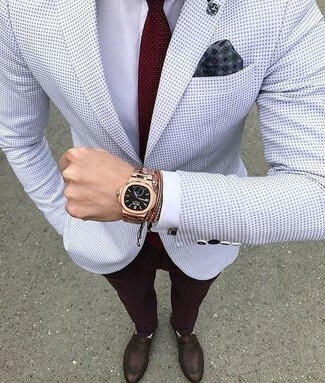 We're all getuping for comfort when it comes to dressing up, and this combination of a white polka dot blazer and Rick Owens DRKSHDW logo high socks is a great example of that. You could perhaps get a little creative in the footwear department and lift up your ensemble with dark brown leather loafers. 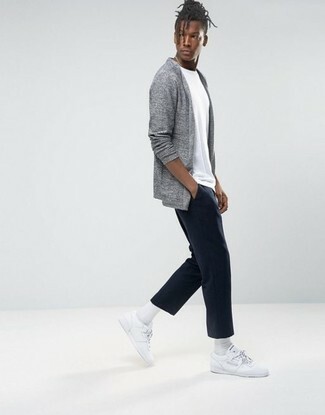 If you're a fan of comfort dressing when it comes to your personal style, you'll love this neat pairing of a grey open cardigan and white socks. 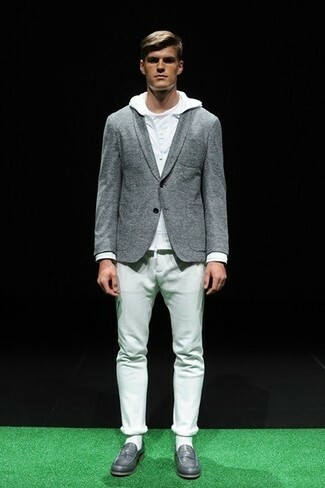 Spruce up this getup with white leather low top sneakers. 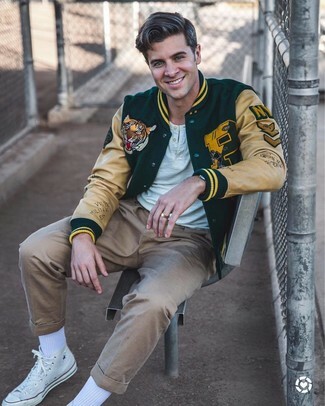 A dark green varsity jacket and Rick Owens DRKSHDW white socks are the ideal way to infuse effortless cool into your day-to-day casual lineup. Complement your look with a pair of white canvas high top sneakers for an added dose of style.